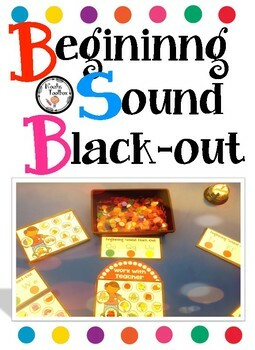 This hands on beginning sound black-out game supports students ability to recognize same sounding words and letter sounds. 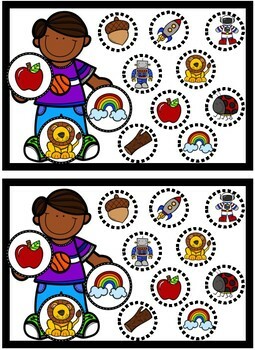 This activity/game is a great support tool for SPED and ELL students and a creative hands-on way for kinesthetic learners to learn their letter sounds. 1. print on white card-stock paper ( or regular printing paper). You have the option of printing in black and white or color. For the color coded sheets you need to print them in color so students know how to differentiate between the different letter sounds. 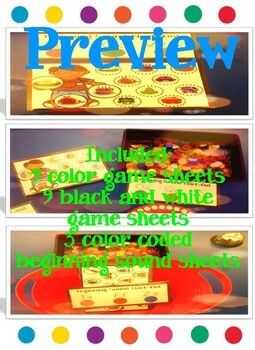 2. laminate both the game sheets as well as the color coded sheets. Laminating helps sustain the material longer and give sit longevity. 3. 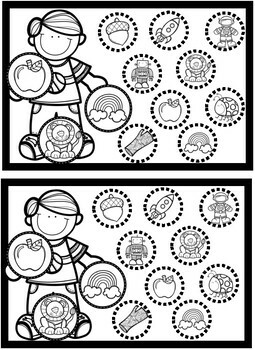 You don't need to, but it helps to have some type of color circle material example ( I use bingo chips that are multi colored). you can buys these in stores or online. This is the material that helps students differentiate between the 3 sounds on each game sheet. 4. Each student gets a game sheet, a color coded sheet and a pile of bingo chips ( or your replacement). students will look at the color coded sheet to know what chips to put on the pictures. Example: the letter c sounds have red chips, the letter o has blue chips and the letter g has yellow chips. The students job is to put the right color chips on the right picture sounds. Their are 3 pictures for each letter sound. Each game sheet should have 3 different colored chips.